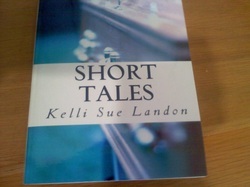 Short Story Compilation of Eight Tales published for nothing through www.createspace.com. First we have naughty Peter who doesn't want to do a school assignment in The Assignment. Next is a young girl's attraction to an older guy in Campfire Dreams. We have a youg woman who stands up for her rights in Replacing The Hot Vixen. Fifteen Months is a story revolving around a break up, only to throw you for a loop at the end. A pyscho killer is the subject of The Ice Cream Man, a suspenseful thriller with a twist. The Diary involves sibling rivalry that keeps us guessing. A butcher is infatuated with a vegetarian in The Butcher's Crush. The final story is Haunted Hotel. Stuart is creeped out when he designs his own hotel that could have evolved from a dark childhood memory.